For some students, deciding which colleges to apply to is one of the most difficult parts of the college application process. For others, it’s easy. 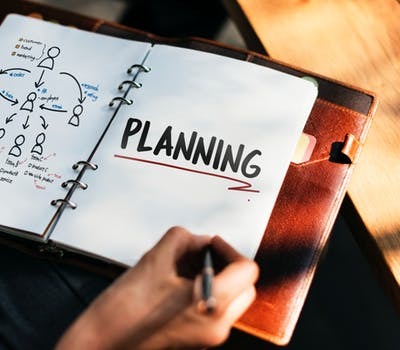 But for those of you who are struggling to narrow down your college list or have no idea where you want to apply altogether, this article will provide a few strategies for creating a college list you’ll like. If you have no idea where you want to go to college at all, using a college search tool, like the CollegeBoard’s College Search, is definitely a good place to start, but for many students, this won’t narrow the list down enough. On average, most students aim on applying to five to ten colleges. With the help of these search tools students are given generated lists of hundreds of colleges in which they can use to narrow down their choices. When crafting your college list, the most important thing to remember is that you could end up attending any of the schools you apply to, so you should like all the schools on your list. If you have any schools on your list that you wouldn’t attend even if it was the only school you were admitted to, don’t apply. The schools you apply to should be divided into three basic categories: safety, target, and reach. 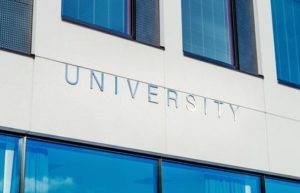 Safety schools should comprise a few of the schools on your list and should be schools that you are overqualified for and relatively sure you’ll be admitted to. Reach schools are schools that you are not likely to be admitted to and should make up for just a few of the schools you apply to. The majority of the schools on your list should be target schools, or schools that you believe you have the test scores and resume to be admitted to, but which you’re not sure will accept you. Each student will pick a different number of safety, reach, and target schools, depending on how many colleges he or she is applying to. However, it’s a good rule of thumb to have at least one to two safety schools on your list, and your list should not be majority reach schools. Keep in mind that you may end up attending one of your safety, target, or reach schools, so every single school on your list should be a college you would be happy to attend if admitted. Naviance (if your high school gives you an account), Cappex, CollegeData , Niche, and other sites have tools that can predict your chances of getting into certain colleges. Some will even tell you if a college is a safety, target, or reach school based on your test scores. Major and Program. It’s important that every school you apply to offers the major(s) you’re interested in. If you’re not sure what major you want to pursue yet, consider a liberal arts college that offers a wide range of majors to choose from. For those who are interested in relatively common majors, such as biology or political science, though, this may not help narrow down your college list at all. However, taking a look at the kind of programs and curricula offered by schools you may apply to might be able to help. Some schools may offer the same majors but will teach the subject matter in very different ways. Some schools are very hands-on, requiring fieldwork as a part of courses, while others offer a more theoretical, textbook-based approach to learning. Location. While you might be able to compromise on many other aspects of college, the location of a school will never change. Even if you are ambivalent about going out-of-state for college, it’s important to narrow it down to a region or regions you’d like to attend school in, or whether you’d prefer to stay close to home. In addition, thinking about location in practical terms can also be helpful. Some schools are far away from airports, making travel more difficult, while schools located in larger towns and cities offer more internship opportunities during the school year, if that’s what you’re interested in. It’s also important to keep in mind that the farther away the college is from home, the more expensive the travel costs will be. Campus culture. The culture of a campus is something that is definitely not accounted for in statistics but is integral to the college experience. College size, location, and the design of a campus all contribute to a school’s culture. A small school close to the suburbs with a large campus will feel very different than a large school in a big city with a smaller campus. Getting a handle on campus culture before attending a school can be hard, but talking to current students or visiting campuses, if possible, can be very helpful. If not, checking out student-written blogs and campus newspapers can give you a better sense of what campus life is like. If you’re looking for a more laid-back college experience, consider schools like the University of Southern California, Tulane University, or the University of California, Santa Barbara. For a more pre-professional environment, schools like Columbia University or the University of Chicago may be a better fit. Type of school. For certain marginalized groups, attending a women’s college and/or historically black college and university (HBCU) may be a better fit than a traditional university. These schools offer a sense of camaraderie based on gender and/or racial identity which can help many students develop confidence and leadership skills in supportive environments. If you’re not sure you want to attend a women’s college or HBCU, apply to a few traditional universities as well! Financial aid. Unfortunately, not all schools cost the same or have the same financial aid policies, so it’s important to figure out whether a school is in your price range. Luckily, many schools don’t actually charge their sticker price, and some will meet all demonstrated financial need. Even if a school has a high sticker price, it’s worth taking a look at their financial aid website. Many schools have financial aid calculators where potential applicants can calculate their expected cost of attendance. Career services. While this may seem far-off, you’ll want to choose a college that has good career counseling services. College career centers often offer resume workshops, career counseling appointments, and recruitment fairs. Taking a look at a college’s career center page, including the top employers for each major and the services offered, can give you a better idea of what each college’s career center offers and whether it has the features you need. Create your own list of necessary features. Are you looking forward to participating in a certain club or a lot of campus traditions? Do you want colleges that guarantee housing for four years or schools with very diverse general education/core requirements? Identify the things you’re really looking forward to in college (or really don’t want in a college) and pare down your list from there. Creating a college list is a highly personal process that will be different for every student. Hopefully, this article has helped you narrow down your college list!